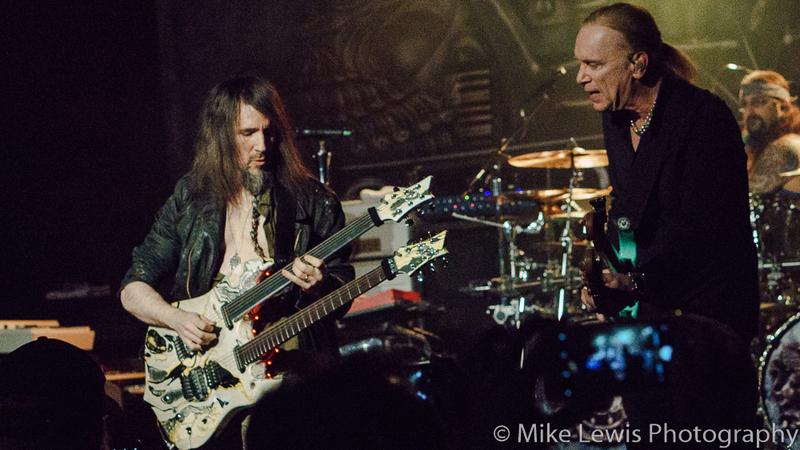 KNAC.COM - Reviews - SONS OF APOLLO In Portland, OR With Photos! SONS OF APOLLO In Portland, OR With Photos! Sherinian was spot on in his assessment of his his new venture; SONS OF APOLLO issued their ‘self-titled’ debut in the last quarter of 2017. Sons Of Apollo received critical acclaim from critics, metal fans and progheads alike. SONS OF APOLLO were hellbent on making a statement with this band; the message being that they are a ‘real’ band and they wanted to prove that they have staying power and are in it for the long haul. So they announced a North American tour. That’s when things got very real; which brings us to the show at Portland’s Hawthorne Theater. SONS OF APOLLO, as any new act would, performed most of their ‘self-titled’ record in the set along with some ‘breathers’ for singer Jeff Scott Soto in the form of a Billy Sheehan bombastic bass solo, a Derek Sherinian electrifying keyboard solo, and a ‘Bumblefoot’ song in the form of “Day To Remember”. The entire band joined in for a cover of Henry Mancini’s “Theme From The Pink Panther” which went over, surprisingly well. 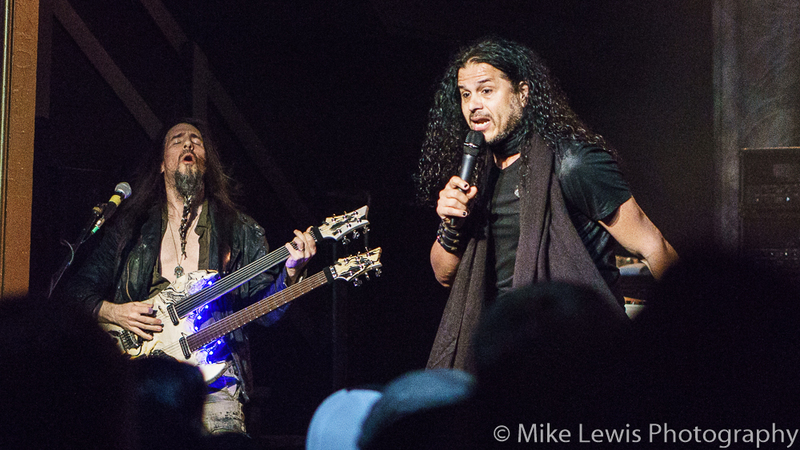 Jeff Scott Soto got his opportunity to break away from the SOA tunes and showcased his vocal prowess by tackling QUEEN’s “The Prophet’s Song” [from A Night At The Opera] and “Save Me” [from The Game]. Soto’s renditions were splendid and it’s a crying shame that Soto hasn’t gotten the credit that he is due in the United States. Perhaps SONS OF APOLLO will help change that. God knows he’s certainly deserving. The highlights of the SOA set were; [original compositions] “God of The Sun”, “Signs of The Times”, Labyrinth”, “Coming Home”, the aforementioned QUEEN covers and the two DREAM THEATER covers; “Just Let Me Breathe” and “Lines In The Sand” [both from Falling Into Infinity] were pretty bitchin’. The musicianship is completely over the top, but not so that it would alienante the ‘typical’ rock fan and as far as melody? Well, they have that in spades, which sets SONS OF APOLLO apart from the pack. “I’m so thrilled to hear you say that. It’s so rare to do an interview where someone gets it. Of course, for all intents and purposes this band was going into the ‘prog’ arena, but we wanted to and did transcend it,” says Soto when asked about the eclectic sound of SONS OF APOLLO. If you missed SONS OF APOLLO on this inaugural North American tour, you really missed out on an ‘eargasmic’ event.